Raising the maximum level for costs awarded to firms winning a tribunal claim from £10,000 to £20,000. In addition BIS will publish the average value of awards and time taken to reach a hearing to provide both parties with a better understanding of the tribunal process. During my time at AT&T I was trained in their in-house project management methodology, a skillset I found very worthwhile throughout my career. Project management is not necessarily a job function but a skillset that all effective managers should possess. 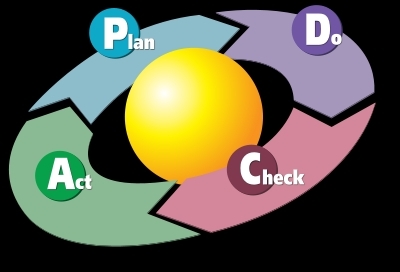 Project management is fundamental to the success of all businesses, large and small. That is why I was particularly pleased that my group MGBA are focussing on project management in the SME sector in this months newsletter. It is certainly worth a few minutes of your time and offers some excellent links for further reading. I have enclosed the link to the article, please feel free to have a read and let me know your thoughts. I am grateful to my frinds at Workplace Law who have reminded me that today marks a change to the rules on reporting workplace injuries, as, from 6 April, employers will no longer have to report injuries that keep workers off normal duties for seven or fewer days. This change to the Reporting of Injuries, Diseases and Dangerous Occurrences Regulations (RIDDOR) 1995 will see a fall of around 30% in the number of incidents that must be reported by law – an average of around 30,000 fewer reports a year. Employers will also be given a longer period in which to report, increasing from 10 to 15 days from the time of the incident. By increasing the reporting threshold from three to seven days, the change will also align with the ‘fit note’ system which ensures that someone who is off work because they suffered a reportable injury has a professional medical assessment. Employers and others with responsibilities under RIDDOR must still keep a record of all over three day injuries, for example through an accident book. The Design Council has launched a mentoring programme which provides links between universities and designers to help bring research projects to market. According to Design Week, several projects have already been developed through this BIS-funded programme, including cancer-detecting needles; an inflatable operating theatre and light-based treatment for tinnitus. The Department for Business (BIS) is considering giving trading standards officers more power to tackle rogue traders across local authority borders. The consultation follows on from the Red Tape Challenge, and seeks to consolidate and simplify consumer law relating to investigatory powers. Other proposals include making officers’ routine visits pre-arranged unless there are compelling reasons for them to be unannounced. According to Reuters, Chancellor Osborne has suggested that the National Loan Guarantee Scheme (NLGS) could be extended if there is sufficient demand from the business community. He also hinted that the Treasury is considering creating an agency to package business loans and sell them on to investors. However,it’s not all good news, he also warned that there would be difficulties in providing transparency on the quality of the loans in the package. More than a million UK employees are sleep deprived to the point where a lack of sleep affects their ability to the same extent as alcohol. A Vielife survey of workers showed that one in three suffer from ‘poor sleep’. These people are ‘living in danger of a semi-conscious existence equal to repeatedly driving their car well over the alcohol limit’. 35% of women have poor sleep and 31% of men, with depression having a direct link to poor sleep. Those working a five-day week were found to generally have better sleep than those working more or less than five days. The data is based on ‘sleep scores’ recorded by users of vielife’s online health and wellbeing platform. A sleep score indicates the overall quality and satisfaction of a person’s sleep as part of a wider ‘wellbeing score’ used to help people identify and work to improve their health issues.